This is an old favorite, that I “re-discovered” this week when I needed to update a lot of exact match text in a whole BUNCH of text files. Man, this thing is awesome! 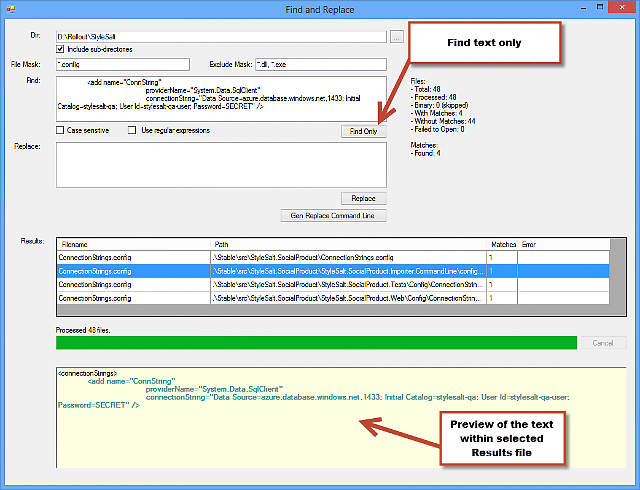 “An open source tool to find and replace text in multiple files.